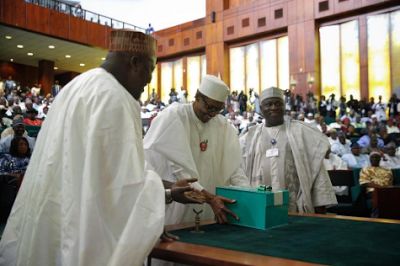 President Buhari has presented the 2017 budget to a joint session of the National Assembly. The budget which is N7.28 billion, is tagged the budget of Recovery and Growth. It has a 20.4% increase from the 2016 budget. 30% of the budget will be for capital projects. The budget was based on crude oil benchmark price of $42.5 per barrel.